Vending by JSR bring state of the art technology to locker style vending machines. 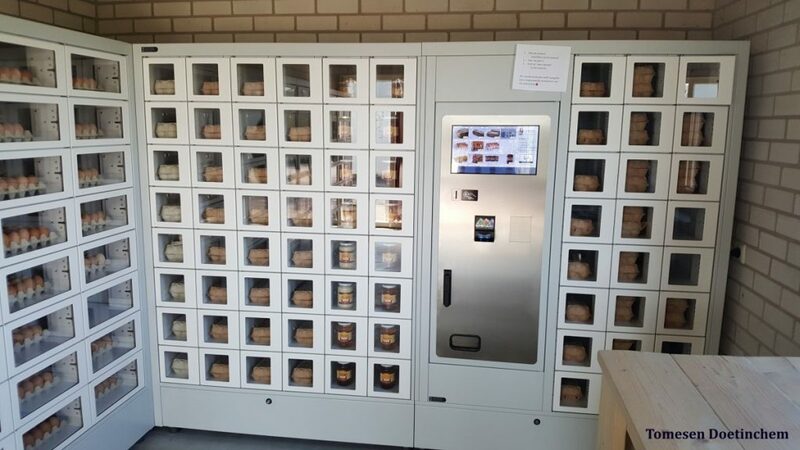 Vending by JSR has now added a new model of Locker style vending machine to its range. This new machine is similar in design however its what lies beneath that is really interesting. This new machine still does everything the existing models do however it is controlled by the most advanced touch screen on the market. This give the customers a far better more informed buying experience. The new machine is linked via a 4G router to a web based system so the owner can check on sales remotely, anywhere, from their mobile phone. Prices information, pictures of products and any other information can be added to the screen easily from your home or office PC no matter where the machine is situated. With cash, card payment and mulit vend options the new software mimics the same buying experience a customer would have with the large online retailers. Customers push the picture of what products they would like, it puts them in a basket on screen, then customer checks out using what ever payment method they wish. The first of these machines will be installed in Aberdeenshire in October. A full case study will follow. Please see our gallery for pictures of this new model.